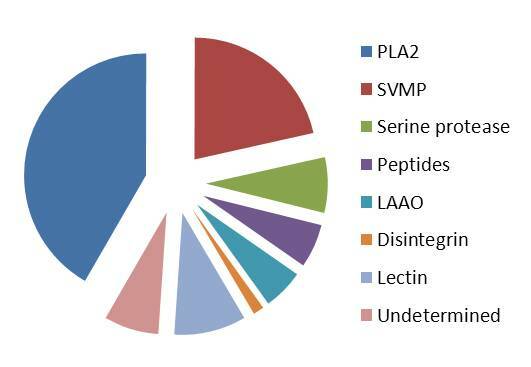 Figure 1: Composition of B. pirajai venom, studied at the proteomic level. The relative abundances of each protein family were calculated based on the integration of peak areas of the RP-HPLC separation (Bernardes et al., 2013 ). This venom contains the following families: PLA2 (phospholipase A2 ), serine protease (peptidase S1 ), LAAO (flavin monoamine oxidase (L-amino-acid oxidase) ), SVMP (venom metalloproteinase ), disintegrin, lectin (true venom lectin, PEP (peptides).